I bought four females from a neighbor and have to say they were excellent layers. We let the ducks free range with our chicken flock so they were able to forage for the bugs and grubs they need, as well as getting chicken scratch and scraps from the table and the garden. They were pretty prolific layers, and when we couldn’t eat any more we started a nice side business selling the eggs to neighbors and friends. Our ducks never had any specific health problems. We gave them room to roam, a varied diet, and access to water and shade. The biggest problem we had were how badly they tore up the ground looking for grubs, especially in high water areas like the fence perimeter and around the water buckets for the larger animals. 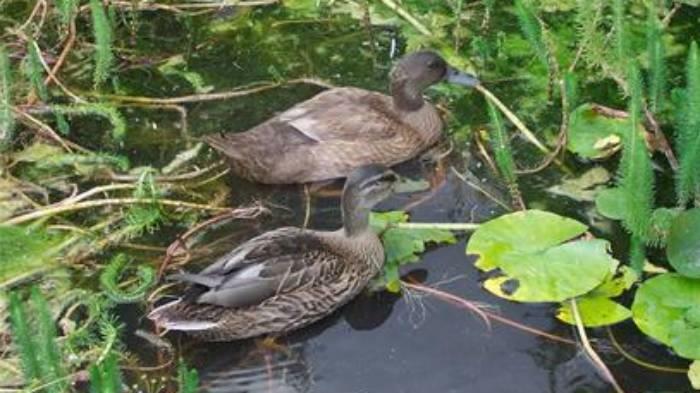 Ducks need a good supply of water, so if you don’t happen to have a pond or a lake, invest in a kiddie swimming pool and make sure you clean it regularly. The second biggest problem was the noise. They made all manner of quacking noises as they went about their daily routines, increasing in volume when other animals or people got close. It was annoying and we lived in town at the time, so there wasn't any escape from it. Their temperament was even and laid back. Once they got used to us being out and about working in the yards every day they weren’t too concerned with us except to quack incessantly. Catching them was pretty easy, they didn’t fight or evade too much, so we had an easy time checking them over or transporting them. We had hoped, after later acquiring a male, to raise ducklings, but this breed is not the best for doing so. Ours didn’t even have designated nests. They laid their eggs in a lot of places and showed no signs of broodiness at all. Once we discovered that they were designated as simply egg producers and we continued to eat and sell the bounty. That said, if you want to raise duckling go with a different breed or incubate the eggs yourself. If you only want the eggs, this one would be right for you. Just take their list of needs into consideration before purchasing so you can give them a good environment.